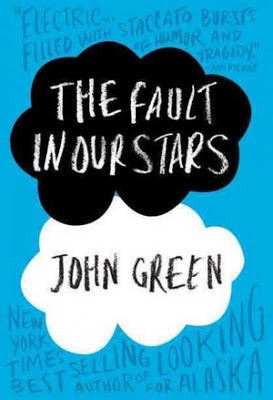 The Fault In Our Stars is even more resonant the second time I read it. The first reading quaked my perspectives on dying. The subsequent reading crumbled my beliefs about living. This story is about two teenagers with cancer. The girl, whose cancer is in remission, is attempting to counsel her boyfriend whose cancer is spreading throughout his body. "You get to battle cancer," I said. "That is your battle. And you'll keep fighting," I told him. I hated it when people tried to build me up to prepare for battle, but I did it to him, anyway. "You'll... you'll... live your best life today. This is your war now." I despised myself for the cheesy sentiment, but what else do I have? "Some war," he said dismissively. "What am I at war with? My cancer. My cancer is me. The tumours are made of me. They're made of me as surely as my brain and my heart are made of me. It is a civil war, Hazel Grace, with a predetermined winner." "Gus," I said. I couldn't say anything else. He was too smart for the kinds of solace I could offer. "Okay," he said. But it wasn't. After a moment, he said, "if you go to the Rijksmuseum, which I really wanted to - but who are we kidding, neither of us can walk through a museum. But anyway, I looked at the collection online before we left. If you were to go, and hopefully someday you will, you would see a lot of dead paintings. You'd see Jesus on the cross, and you'd see a dude getting stabbed in the neck, and you'd see people dying at sea and in battle and a parade of martyrs. But Not. One. Single. Cancer. Kid. Nobody biting it from the plague or smallpox or yellow fever or whatever, because there is no glory in illness. There is no meaning to it. There is no honor in dying of." The second reading resonated more in the wake of a friend's suicide. There is no honor in dying of, there is no honor in dying of nothing. I had been trying so hard, trying not to turn his death into philosophical musings, trying not to be angry at him. Trying not to be angry at him for not approaching me, for not approaching any of his friends, any of the people who love him. Trying not to be angry at him for rattling my faith in a benevolent world. Who am I to turn his death into a philosophical exercise about living? Who am I to turn his death into a blogpost? The Fault In Our Stars reminded me that we will all die. Death is inevitable the moment we opened our eyes and wailed as purple, squirming babies. Death is written into our horoscopes, our stars. My friend had merely chosen to leave earlier. We're all molecules that had came together in one great serendipitous moment and are merely waiting to explode in another serendipitous moment. It's this finite period between these two moments that defines the beauty, energy and urgency of our existence. In this finite period between our implosion into and explosion out of being, we ought to make the world a little brighter, a little happier, a little lighter. If we can't do that, at least we should try to leave without scarring Earth too much. Can Money Buy Us Happiness?